King went to my brother, an Attorney living near Sweetwater, Texas, to be a working guardian for his horses, cows, and family at his beautiful West Texas ranch. WARNING NOTE REGARDING MALE ANATOLIAN BEHAVIOR! 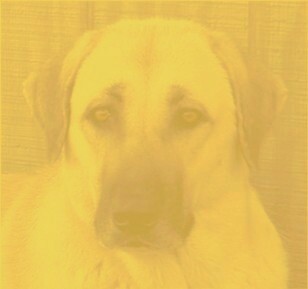 When King was eight months old (a time of emotional change in many male Anatolians), he decided he no longer would submit to my brother's older ranch dog, a large German Shepherd mix. 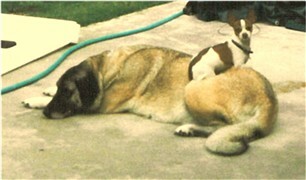 The older male dog refused to give up his dominant position to King. Several serious fights broke out over that next three or four days. My brother thought they would work it out and come to an understanding. However, the older male, who lost the fights, would not submit. After several days my brother went outside and found the older male dead. Male Anatolian fights should be taken very seriously. 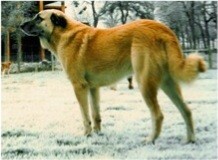 King was a working Anatolian who took his job as ranch guardian seriously. King had the aloof personality so highly desired in working Anatolians. 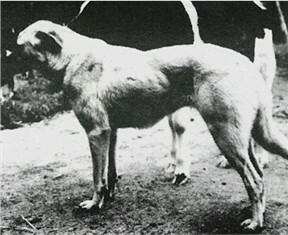 King was raised using Erick's STRICTLY WORKING METHOD. 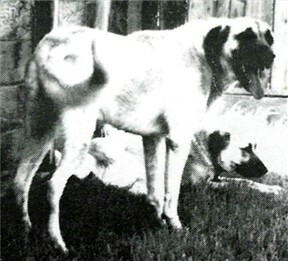 King was an exceptionally "tuff" Anatolian with a soft spot for children. He dearly loved and was particularly protective of my brother's two children, Jess and Alison. 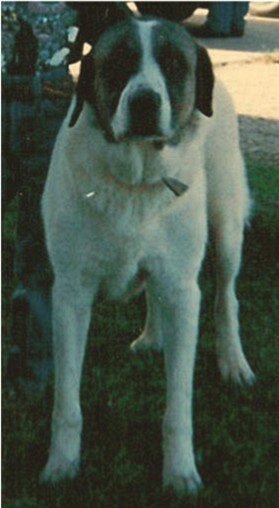 King was an amazing ranch guardian who was fearless, aggressive, and unrelenting in his pursuit of predators.